Probashbangla24 online Desk : Rivers have been bursting their banks as heavy rain from Storm Callum causes havoc for a second day. 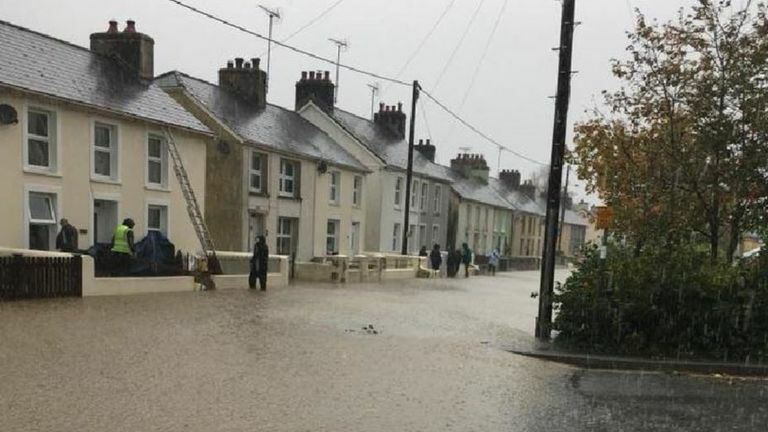 There are more than 30 flood warnings, while one village is on evacuation alert and other towns are at risk. 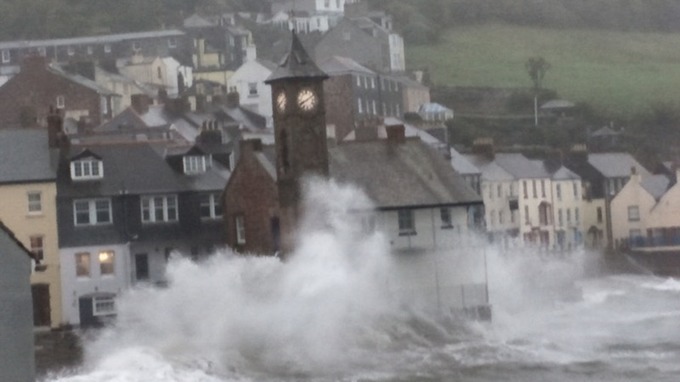 Carmarthenshire, Ceredigion and Powys were worst hit and Dyfed-Powys Police told people to stay at home. A Met Office amber warning to expect flooding runs until 18:00 BST while the rest of Wales is on yellow possible flooding alert until midnight. 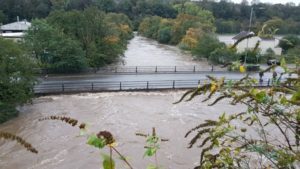 A further two flood warnings are in place in Scotland while about 2,000 homes and businesses in England have been without power with some flood defences breached. Two cars were also crushed near Truro in Cornwall overnight. 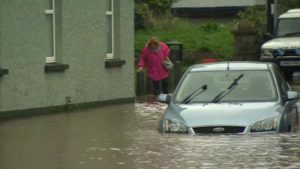 Friday’s poor weather caused power cuts, travel chaos and damage to property across south Wales and has spilled into Saturday. In Aberaman, Rhondda Cynon Taff, one resident was rescued from a first floor window by fire crews on Saturday morning and other residents were evacuated as a precaution, although they were allowed to return their homes shortly after 11:00. 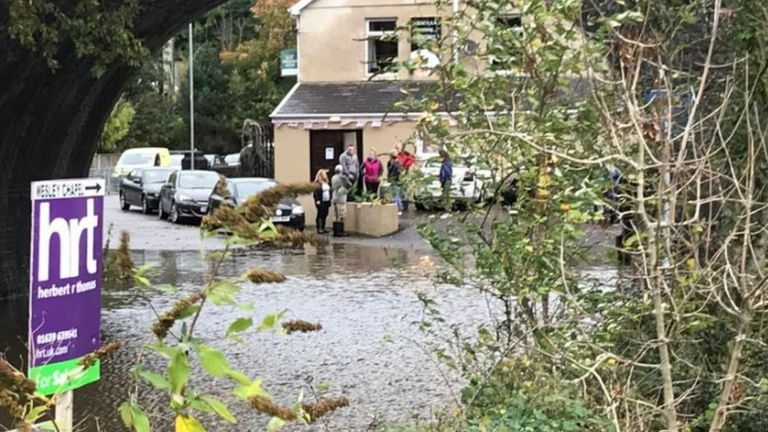 One entrance into Crickhowell, Powys, has been blocked off, as has Aberdulais, near Neath, where residents have been advised to leave their homes due to the high level of the River Neath. 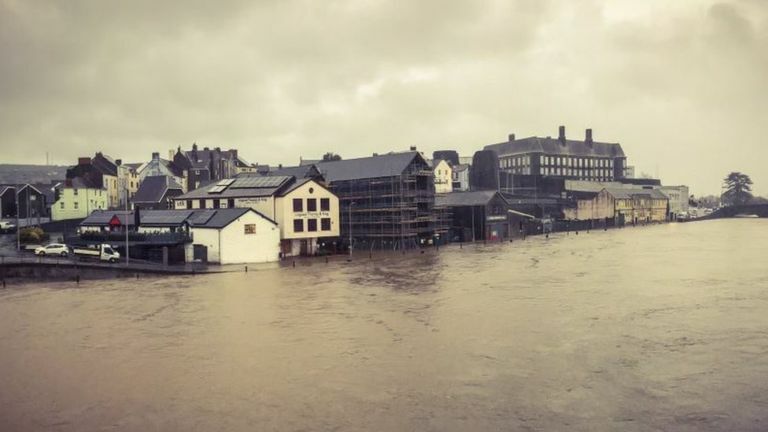 In Carmarthenshire, Carmarthen, Llandysul, Llanybydder have also suffered and in Lampeter, Ceredigion, the town’s Co-op store car park was flooded. 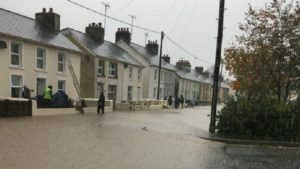 Vicki LeClerc, who lives in one of the 29 properties, said all residents stayed in their homes overnight, despite offers to transport them away, but water levels have continued to rise. “The canal is coming over the banks,” she said. 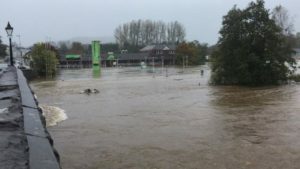 Steve Bryant, group manager at Mid and West Wales Fire and Rescue Service, said crews had been able to cope with the demand. 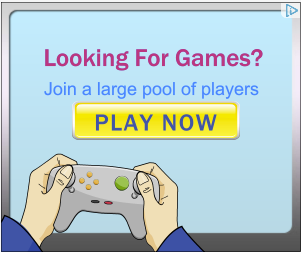 “Probably from this morning to early afternoon was the worst period,” he said. “We’ve had lots of resources delivering but we’ve been able to cope.” A number of key routes including the A470 Merthyr bypass, the A40 at Llanwrda Carmarthenshire and part of the M48 Severn Bridge have been closed due to flooding and high winds. 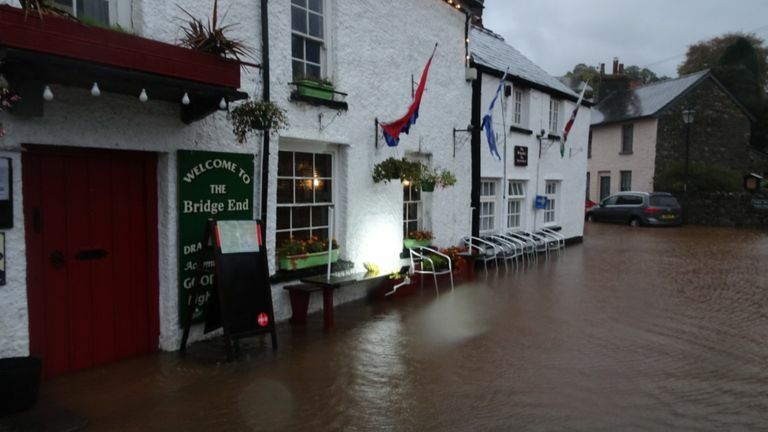 The A5 eastbound has also been shut at Bethesda, Gwynedd due to a landslip. Public transport is not faring much better. 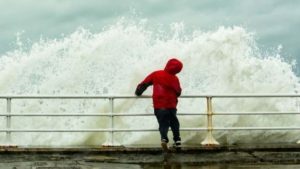 Arriva Trains Wales, on its last day of running the rail franchise in Wales, has revised its timetable due to the weather but warned people not to travel as rail replacement bus services may also be hampered. 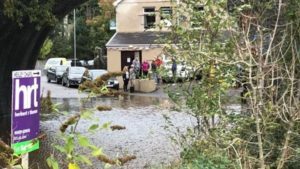 The move follows a train getting stuck in flood water near Penrhiwceiber, Rhondda Cynon Taff, where 30 passengers had to be rescued. 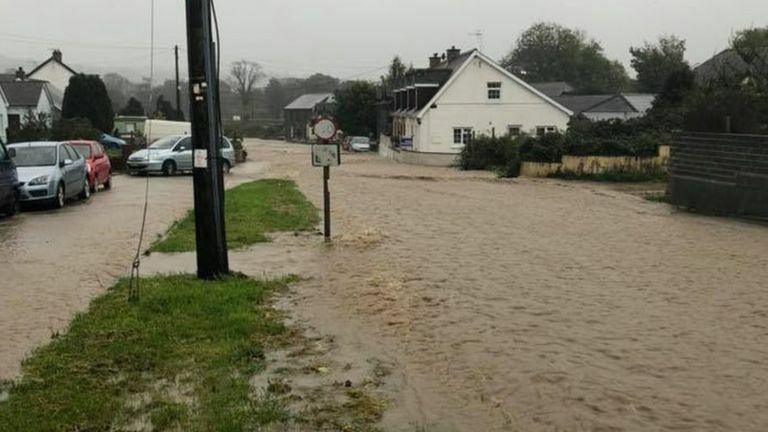 A train operator statement said: “Due to the severe disruption to train services, lack of available road transport caused by local road conditions, customers are advised not to travel as journey completion cannot be guaranteed. 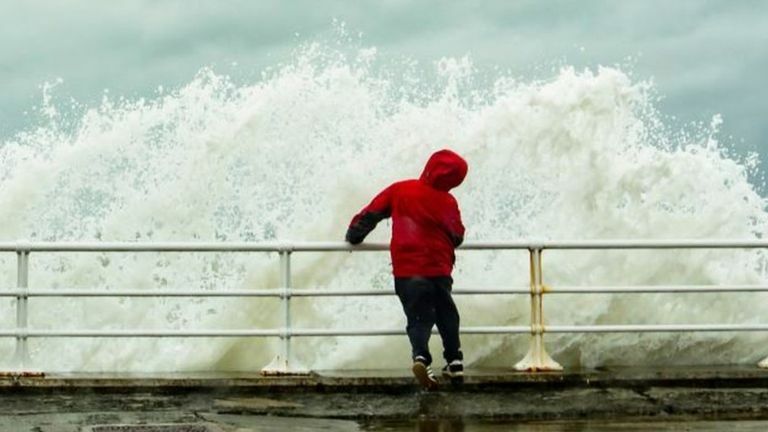 Some ferry services to Ireland from Fishguard and Holyhead have also been cancelled and passengers have been advised to check before travelling. On Friday, gusts hit 72mph (116km) at Capel Curig in Conwy with 15mm (0.6in) of rain falling in three hours near St Davids on Friday. Thousands of homes lost power due to strong winds and falling branches but engineers have worked through the night to get the majority of people back on, with the worst of the winds believed to have passed.